Machu Picchu has many different experiences and although all are very amazing, there is one that travelers have to book long before. There are only 400 tickets available to enter the mountain Huayna Picchu, you enter from the Inca city of Machu Picchu and although you do not need to have great physical skills to climb to the top, not all people can do it, and is that the impressive trails built On cliffs with falls of hundreds of meters dissuade many people; However, if you can be one of the lucky 400 to climb the Huayna Picchu, know that reaching the top of this mountain can radically change your life. When to book tickets for Huayna Picchu Mountain? Ticket Machu Picchu + Huayna Picchu Group 1 – from 07:00 a.m. to 08:00 a.m. 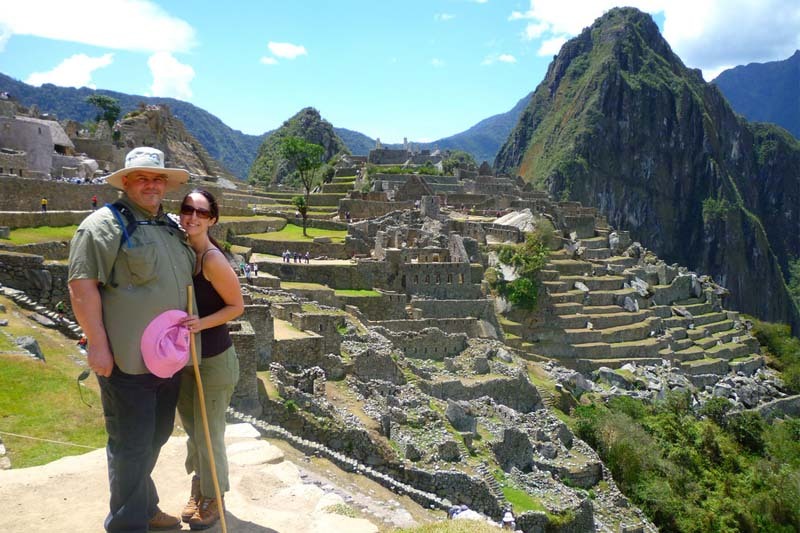 Ticket Machu Picchu + Huayna Picchu Group 2 – from 10:00 a.m. to 11:00 a.m. In order to be able to choose an exact day and the group in which you want to enter the Huayna Picchu mountain we recommend you to book your tickets 2 months in advance, otherwise you may have to book Huayna Picchu tickets for the days available. Note that the second group tickets run out faster, but also remember that if you want to be in Machu Picchu during the high season (June, July, August) all tickets, especially the ticket Machu Picchu + Huayna Picchu, must be booked 3 months in advance. When is the best time to ascend Huayna Picchu? Most people prefer the dry season to visit Huayna Picchu mountain, however, coming to Machu Picchu during the rainy season has advantages, less people, greener landscapes, cooler days, but you will have to be a little more careful when you go The narrow stone paths of the “Huayna”. What options do I have if I do not book Huayna Picchu tickets? If you could not book the ticket Machu Picchu + Huayna Picchu tickets because they simply sold out or because you wanted them for a special day, and there were no seats for that date, then you can book the tickets Machu Picchu + Montaña; This will allow you a beautiful hike and do not miss the possibility of seeing the Inca city from above. You can book a few weeks in advance, this time will be enough to reserve one of the 800 tickets available for this mountain. Who can ascend the mountain Huayna Picchu? The mountain Huayna Picchu can be climbed by anyone older than 12 years old “without fear of heights”. There have been cases of people with panic attacks while touring the Huayna. So if you think you can not overcome your fear of heights, maybe (just maybe), you must choose Machu Picchu instead of Huayna. To visit the Inca city of Machu Picchu and the Huayna Picchu mountain safely, you will need to bring hiking shoes, especially if you plan to come during the rainy season. Protect your skin, bring protection from the sun and insects, especially if it comes during the dry season, where insects abound and radiation is stronger. Bring rain protection no matter what time of year you come, you will need it, the location of Machu Picchu between the Andes and the Amazon rainforest makes it rain at any time. 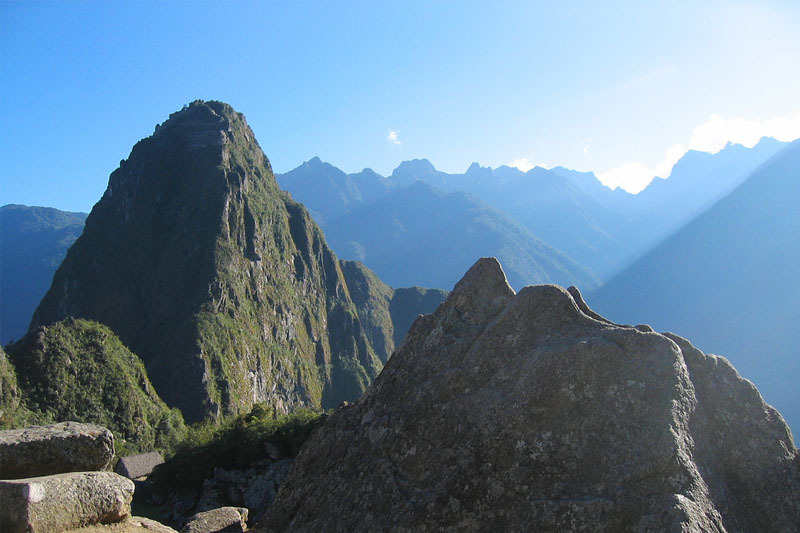 We recommend you choose Group 2 to ascend the mountain Huayna Picchu. Machu Picchu can sunrise covered with clouds preventing it being photographed from the mountain; Is less likely to encounter this if it rises in Group 2. ← Is Mountain Huayna Picchu really dangerous?